Ruthiebear (Titusville, NJ, United States) on 12 December 2018 in Plant & Nature. It's fun and I think the animals in the nearby woods like it too. Est-ce toi qui les fait ? Fine composition indeed. Nice pattern. Une belle décoration naturelle ! You made a great Christmas outside. I love the green color and detail in this image. I like those decorations. And I liked the series. Looking good, nestled in there with that lush green enfoldment. another lovely image here !!! Beautiful verdant greens captured in this shot!! 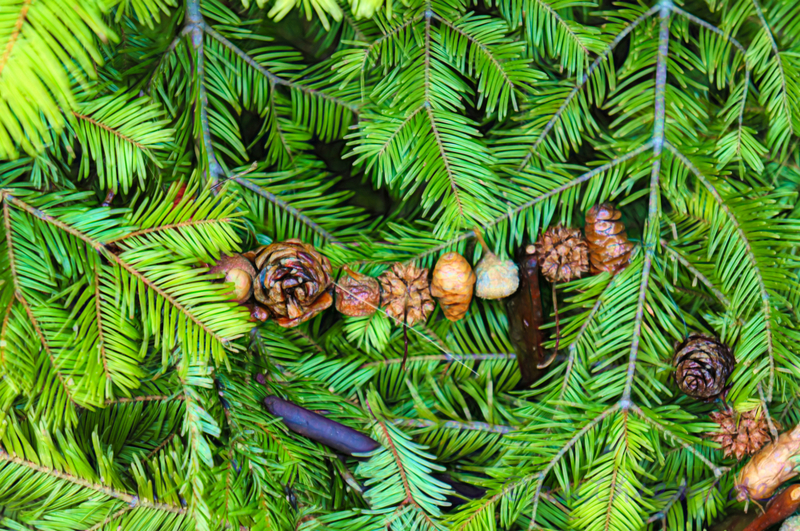 The pine cones really "pop" against the evergreens. Nice outdoor ornament and photo. Beautiful decorations outdoors for all to enjoy. This is beautiful. I really like these natural decorations. They are lovely. Gorgeous color and detail. Good natural food for the birds. Une guirlande tout à fait de circonstance et bien construite.